We love Chinese dumplings. You can have them as a side dish but at my house, we have them as a feast! They are just so delicious and the sauce is so tangy, sweet, and salty all at once. Just thinking about them makes my mouth water. Chinese dumplings are actually inexpensive and easy to make at home and I have a Chinese dumplings recipe you will love from an expert. Today I am sharing, with permission, Hsiao-Ching Chou’s pork cabbage dumplings. Chou is an award-winning food journalist, cooking instructor and author of CHINESE SOUL FOOD (Sasquatch Books; February 2018; Hardcover- affiliate link below). 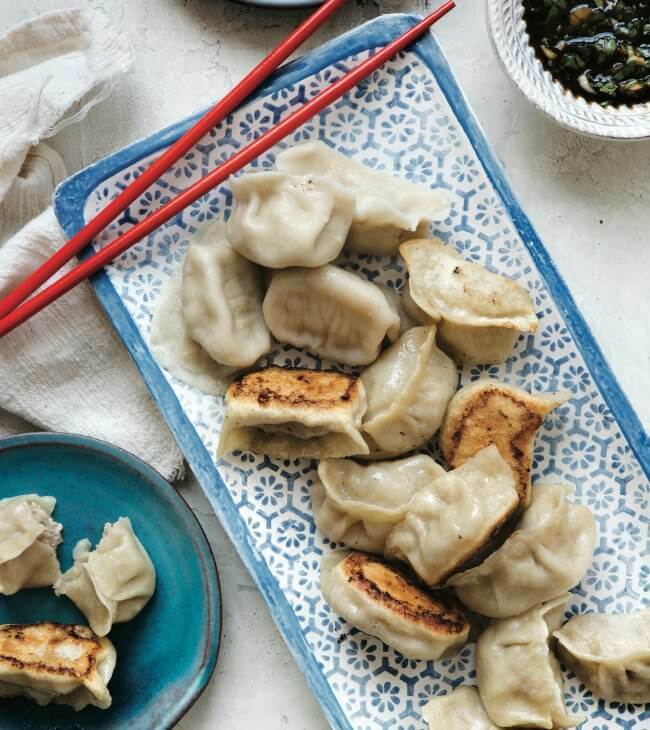 This cookbook offers a collection of 80 classic Chinese soul food recipes that Chou grew up eating in her home, her family made at their restaurant and that are straight-forward and easy to make at home. I am sure you will love this Chinese dumplings recipe AKA pot stickers recipe. According to Parade Magazine, Chinese cuisine is the most craved ethnic cuisine that Americans find themselves reaching for at the dinner table. After tasting this Chinese pork dumpling, I am sure you will be craving them often! (c)2018 by Hsiao-Ching Chou. All rights reserved. Excerpted from Chinese Soul Food by permission of Sasquatch Books. 1. Make the dough according to the recipe. While the dough is resting, make the Soy-Ginger Dipping Sauce and set aside. Or if you don’t have time to make your own wrappers, you can use store-bought dumpling or gyoza wrappers. There are many brands available, and most stores these days sell at least one type of dumpling wrapper. At Chinese markets, you can usually find thin, medium, and thick dumpling wrappers. The thicker ones are better for pot stickers, because they won’t tear as easily. 2. To make the filling, in a medium bowl, combine the pork, cabbage, soy sauce, onions, ginger, oil, and pepper, and mix well. Set the filling aside. 4. Boil, steam, or panfry the dumplings, and serve with the dipping sauce. In a small bowl, combine the soy sauce, vinegar, onions, garlic, cilantro, ginger, and chili sauce. Set aside on the counter for at least 30 minutes, if possible, to let the flavors meld together. The longer the mixture rests, the more intense the flavor becomes. You can store the dipping sauce in a sealed container in the refrigerator for up to 1 week. 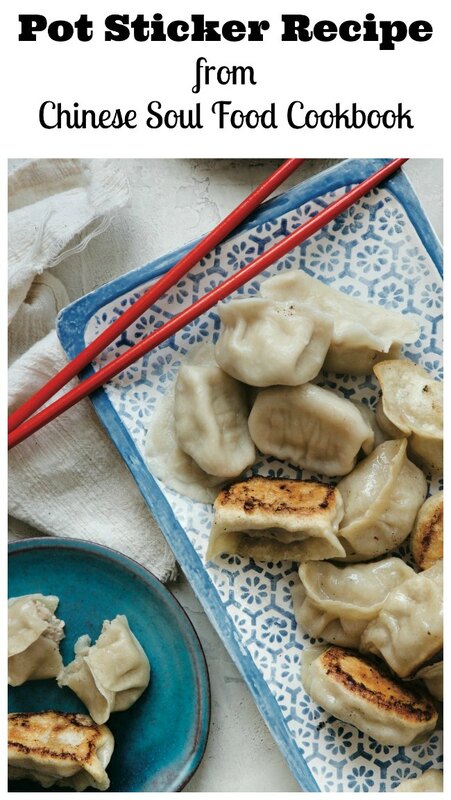 Delicious Chinese dumplings recipe AKA pot stickers recipe made with pork and cabage. To make the filling, in a medium bowl, combine the pork, cabbage, soy sauce, onions, ginger, oil, and pepper, and mix well. Fill the dumpling wrappers with the prepared filling using water to seal the folded edges shut. Boil, steam, or panfry the dumplings. Have you tried pork cabbage dumplings before? I hope you find this Chinese dumplings recipe to pretty easy to make and remember it gets easier every time you make it. Let us know what you think of the Chinese pork dumpling! For extra fun, you may also enjoy these Chinese proverbs as you enjoy your pot sticker recipe! I love Chinese dumplings but have never made them myself. Thanks so much for sharing, it sounds like a great book! These little dumplings look so good. I can’t resist dumplings and to be able to make them at home even better. I love dumplings but have never had enough courage to make them at home. 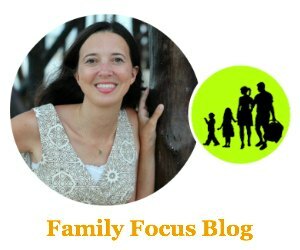 Your recipe looks easy and delicious and I can’t wait to make them for the family! I don’t eat dumplings enough and need to always keep the wrappers in my fridge as a reminder. These looks like a delicious recipe. Love the flavors. I forget how easy it is to make dumplings…thanks for the easy instructions! These look delish! These dumplings look so good. My daughter loves dumplings. I can’t wait to make this recipe for her.